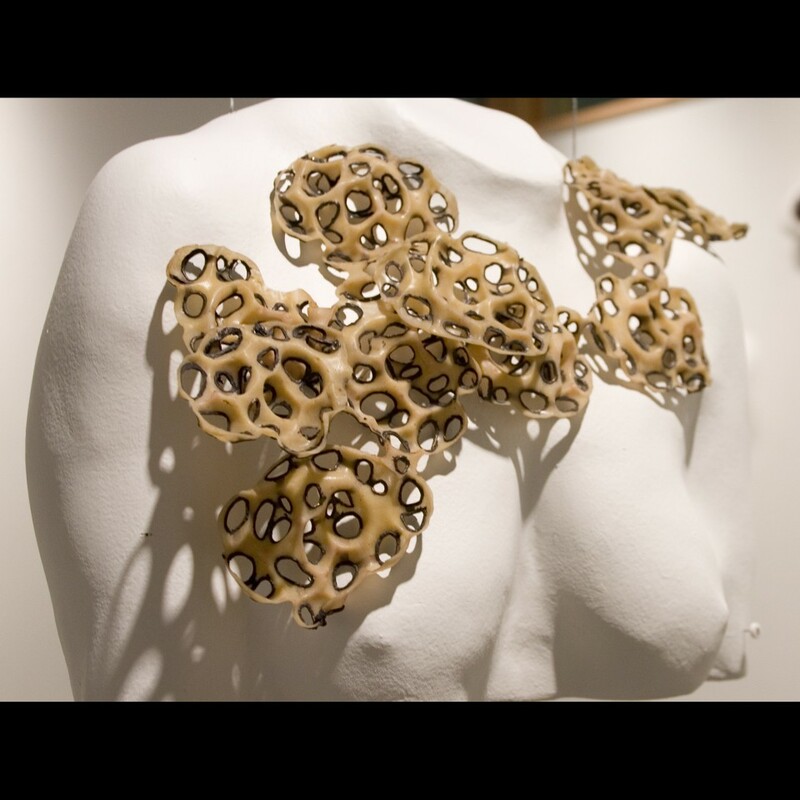 Sublime Affliction is a series of wearable amuletic objects based on a visual vocabulary of cellular pathology. The work addresses the psychological aspects of illness and serves as coping mechanisms for medical diagnoses and treatment. The objects are placed on the body over the site of illness and reference disease through decorative patterning and material choices. 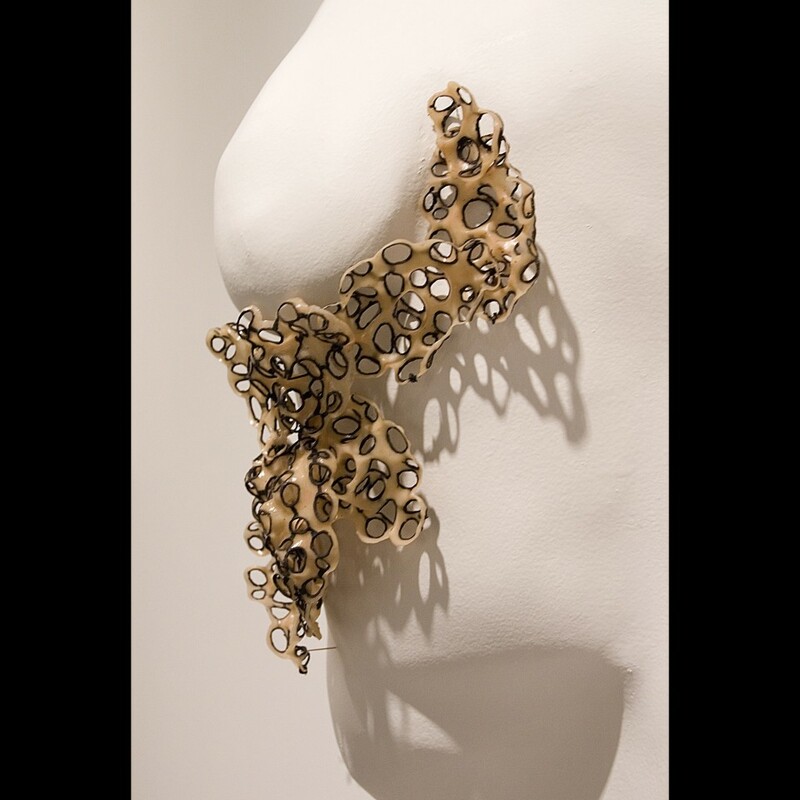 Works use form, patterning and materials creating tactile amuletic pieces. The inherent nature of jewelry lends itself to discussion of the interplay between public and private in Sublime Affliction. Growth I and II, address disease in action. These two pieces spread across the surface of the skin unevenly and unpredictably. 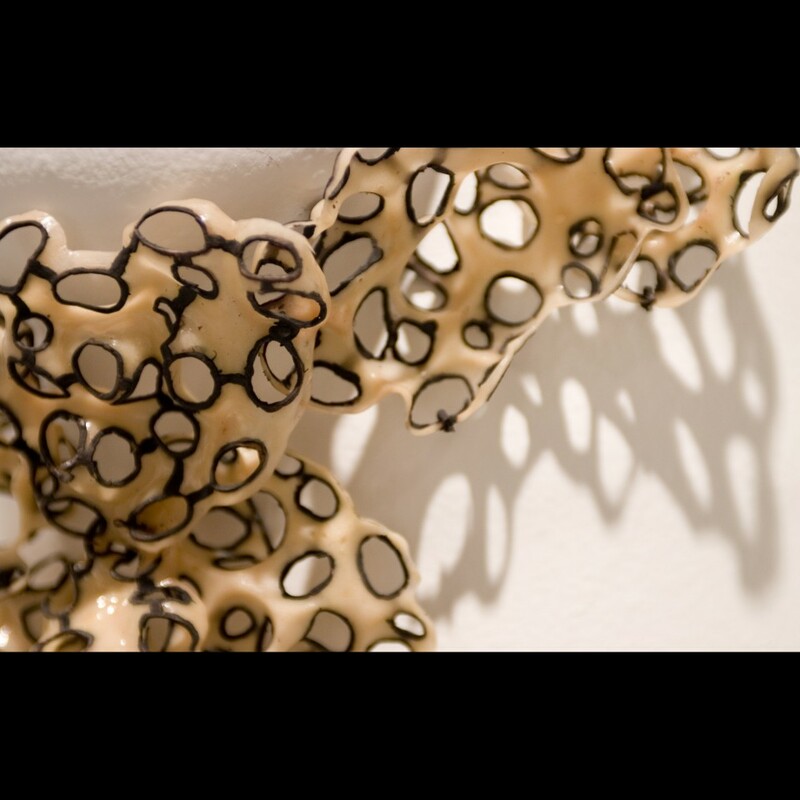 The interplay of layers between the piece and the healthy skin underneath is more developed in this piece with dark rims framing the openings and volume of the elements highlighting the depth and layering as if looking through multiple images of layers of tissue. The shadows cast by the piece create their own pattern across the surface of the skin, continuing the spreading. The depressions and ridges in the forms bring a greater level of visual depth to the piece by creating an overlapping patterning in addition to the dimensionality of the elements. The individual elements that make up the piece are not seen singularly but as a mass.